If you feel self conscious about the way your teeth look due to calculus build up and staining, you may want to consider scaling and root planing. Also known as a “deep cleaning”, scaling and root planing in a non-surgical procedure that is used to remove tartar, bacterial toxins and other agents that can cause the gum tissue around your teeth to become inflamed. 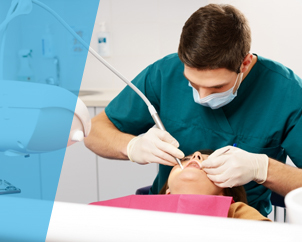 Dentists perform scaling and root planing to get rid of disease and make the gums healthier to house the teeth. Scaling and root planing can be treated in one or two visits depending on how advanced and severe the disease has become. The teeth and gums are first numbed with an anesthetic so that the patient is not uncomfortable during their deep cleaning. The calculus and plaque is then removed above and below the gum line. More often than not, patients will have their gum pockets treated with an antibiotic to promote faster healing and ward off infection. Patients are then asked to return within a 4-6 week period so that the teeth can be examined and the dentist can see if the procedure was successful. In the case that the procedure did not entirely work, additional treatments may be necessary. 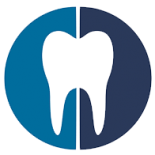 If you are interesting in scheduling an appointment to have a scaling and root planing procedure, contact Corsi Dental Associates today! We can answer any questions you may have and also determine if you are a candidate for a deep cleaning. Preventing Disease: There is an enormous amount of bacteria present in the mouth when a periodontal infection is breeding. This bacteria can travel through the bloodstream to other areas of the body. Many health concerns have been linked to periodontal disease such as lung disease, cancer, diabetes, heart disease and more. Reduce or Eliminate Bleeding and Inflammation: In order to have the very best oral health, inflammation must be reduced. If this does not occur, the body will instinctively begin to destroy gingival and bone tissue. This can lead to losing your teeth over time. Get Better Breath: Periodontal disease comes with a number of side effects. One of the most noticeable ones is halitosis or bad breath. Removing bacteria from the mouth with a scaling and root planing procedure can eliminate bad smelling breath. Your Teeth Will Look Nicer: You will be beyond proud of your smile as stubborn stains will finally have been removed. This will allow you to have the confidence to sport your smile everywhere you go.